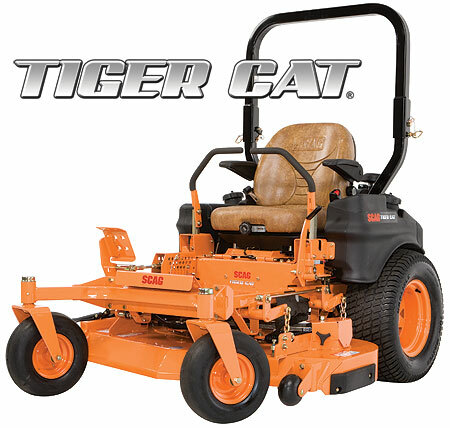 With speeds up to 12 mph, huge-horsepower, fuel efficient engine options like the fuel injected Kawasaki or Kohler EFI, massive 35hp Big Block models, or Kubota Diesel models, there’s a Tiger II that will increase your productivity and send your competition running for cover! A larger capacity fuel tank and a heavy-duty hydraulic oil cooler, the Turf Tiger II is geared up to take the “hard” out of hard work. Single fuel tank, 12 gallon capacity keeps you in the field cutting grass. Fuel tank is positioned low, in the center of the machine, enhancing the mower’s low center-of-gravity and giving it excellent hillside stability. Fill up in the morning and cut all day long. Double tube steel main frame construction delivers superior strength and ensures years of trouble free service. This design is much stronger than “bolt together” frame designs. The main frame was designed for an ultra-low center-of-gravity to increase hillside stability. Standard equipment auxiliary canister air filter system on all Turf Tiger II’s. This provides increased service intervals and longer engine life. Kohler engines feature removable access panels for easy cleaning of the cooling fins. Easily adjust cutting heights from the seat with the convenient top-access cutting height adjustment, easy to lift, 3-position adjustable foot pedal. Wide range of adjustment from 1″ to 6″ in 1/4″ increments. Command-Comfort Operator’s Station provides unmatched fatigue-fighting comfort. Quick-Fit control levers, 4-point iso-mounted suspension seat, 3-position deck lift foot pedal and spacious foot platform combine to provide unprecedented levels of adjustability, ergonomics and comfort. Extra large 26 x 12 x 12 inch drive tires and 13 x 6.5 – 6 caster wheels ensure better traction, less turf tearing and easy curb climbing. 52″ models feature 26 x 9.5 x 12 drive and 13 x 5 – 6 casters. “Split-Steel” pulleys are used on load carrying areas like the cutter deck spindles and pump drive systems. Split steel pulleys are stronger than cast iron or stamped pulley designs. Our pulleys are strong for long life and lightweight for reduced inertia and decreased wear on the cutter deck drive system. 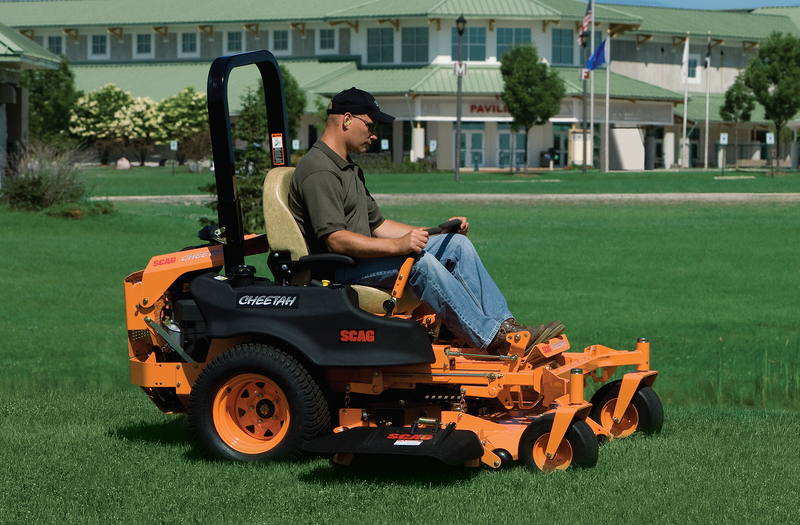 The Scag “Simply the Best” commercial warranty stands behind you and your mower for years of profitable service. Weight 1,420 lbs. 1,510-1,555 lbs. / 1728 lbs. 1,570-1,600 lbs. / 1758 lbs.